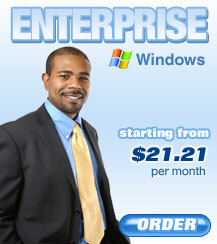 Step up to the Windows Web Hosting Enterprise Plan, a great solution for high volume storage space and high traffic web sites. This hosting solution includes massive amounts of disk space, data transfer, e-mail services, mailing lists, and domain pointers. Click here for more info.